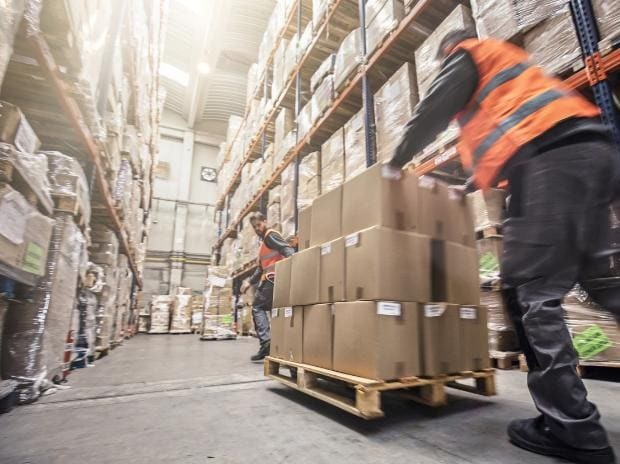 The market size of the logistics sector is seen climbing to $215 billion by 2020, logging 10.5 per cent compounded annual growth rate (CAGR) over 2017. The logistics sector earned the 'infrastructure' status in 2017 when its market size was estimated at $160 billion. A study by the India Brand Equity Foundation (IBEF) pegs annual investments in the logistics sector to reach $500 billion by 2025. Between 2018 and 2020, the warehousing segment is poised to receive Rs 50,000 crore investments. The logistics and warehousing sector will get a fillip with the foray of Hiranandani Group, pledging Rs 2,500 crore investments on two projects in 2019. In 2017, the logistics sector absorbed 22 million people. Employment is expected to surge to 40 million by 2020. Traditionally, steep logistics costs are a grave concern in India. By the end of 2017-18, logistics expenses accounted for 14 per cent of the GDP. The share is set to shrink to 10 per cent by 2022. As of now, the logistics sector is dominated by transportation which has over 85 per cent share in value terms- its share is set to remain high for the next few years. The rest 15 per cent share is borne by storage. The sector is employment intensive, absorbing 22 million people. Logistics costs have a significant bearing on exports. It is estimated that slashing logistics costs by 10 per cent could widen exports by five to eight per cent. Currently, the Indian logistics industry is highly fragmented and unorganized. Owing to the presence of numerous unorganised players in the industry, it remains fragmented with the organized players accounting for approximately 10 per cent of the total market share. With the consumer base of the sector encompassing a wide range of industries including retail, automobile, telecom, pharmaceuticals and heavy industries, logistics industry has been increasingly attracting investments in the last decade. Also, the logistics industry faces challenges such as under-developed material handling infrastructure, fragmented warehousing, multiple regulatory & policy making bodies, lack of seamless movement of goods across modes, minimal integrated IT infrastructure. In order to develop this sector focus on new technology, improved investment, skilling, removing bottlenecks, improving inter-modal transportation, automation, single window system for giving clearances, and simplifying processes would be required.